Wearing women's scrubs to work just got even better. WonderWink, a company dedicated to the re-invention of work uniforms, just made scrub uniforms even more comfortable and added a whole lot of style as well. Committed to producing “scrubs that will change your ... (see full details) (see specifications) #5026-PEW. Wearing women's scrubs to work just got even better. WonderWink, a company dedicated to the re-invention of work uniforms, just made scrub uniforms even more comfortable and added a whole lot of style as well. 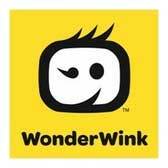 Committed to producing “scrubs that will change your attitude”, WonderWink is an award-winning company with a flare for style. Speaking of flare, these adorable WonderWink Women’s 5026 PEW Romeo Flare Leg Pewter Grey Scrub Pants abandon the traditional shapeless, straight leg design and add fit and flare to the style. While still remaining flexible and functional so you can do your job comfortably, these ladies’ scrub pants are perfect for adding a touch of style to your uniform. This women’s workwear fits at your waist comfortably, there are plenty of pockets for conveniently and simple storage, and the pewter grey looks great with so many tops. The versatile and functional WonderWink women’s scrub pants have six pockets and an elastic waistband that won’t let you down. The 65% polyester, 35% cotton work pants are soft and flexible, offering all of the stretch you need to bend, lift, kneel, push, pull, climb, and basically do anything else you need to do on the job. This WonderWink “lady” fit sits at the natural waist, and the ½-inch elastic waistband and convertible drawstring make these you new favorite scrub pants. The drawstring can be worn tucked inside or outside of these flare leg grey scrub pants (and the cute yellow looks great against the grey!). These easy-care Romeo scrub pants are machine washable and simple to care for, too. The flare leg and open vents at the bottom hems add a touch of fit and style to these super cute scrub bottoms. With two front reach-in waist pockets, you can easily keep small items handy. The additional four-pocket side pocket located on the side of the right thigh has a pocket for just about any need. Large and open pockets as well as smaller, divided pockets will suit any need you have in a convenient way. The signature WonderWink ID bungee loop is located on these lower pockets as well. Cute and fitted without losing functionality, the comfortable and stretchable pewter grey scrub pants are ideal for work, particularly if you're involved in the healthcare industry. You will not sacrifice a proper, professional fit in order to gain style with these fit and flare leg pants. The grey pewter color of these WonderWink Women’s 5026 PEW Romeo Flare Leg Pewter Grey Scrub Pants from Working Person's Store complement many different scrub tops as well. If you've never tried WonderWink scrubs, now is the time to start. Be sure to check out the many other options WonderWink has for you before you go, as we know you’ll love these women's scrubs so much you’ll be back for more! WonderWink Scrubs: Women's 5026 PEW Grey Romeo Flare Leg Pewter Scrub Pants is being added to your cart.